Available with a choice of V8, V10, and W12 engines, the Audi A8 is fast, roomy, luxurious, and exceptionally comfortable. It rides like a luxury car, yet feels taut and handles well. 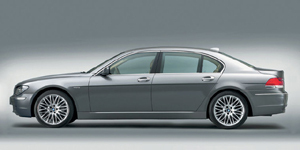 Powered by a choice of V8 and V12 engines, the BMW 7-Series is one of the finest sedans in the world. 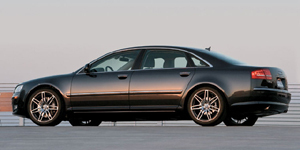 It is remarkably smooth, quiet and roomy, while its interior is impeccably finished. 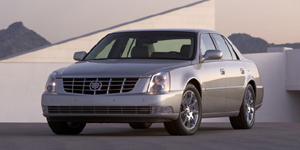 Powered by a 4.6-liter V8, the Cadillac DTS is the only front-wheel-drive vehicle in its class. It's not as sporty as the competition, but boasts the largest interior. 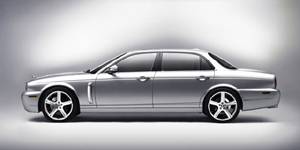 The lightest entry in its class due to an all-aluminum chassis, the Jaguar XJ comes with a choice of V8 engines. The exterior is handsome, the interior elegant, and the ride smooth. 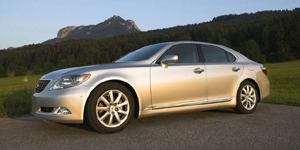 Powered by a 4.6-liter V8 engine, the Lexus LS 460 is one of the quietest vehicles available and offers an excellent combination of comfort, space, and features.